With the elections around the corner, perhaps campaigners are trying hard to affirm their position in the polls. They might be trying and testing various campaigning methods to get popular with the masses without annoying them. 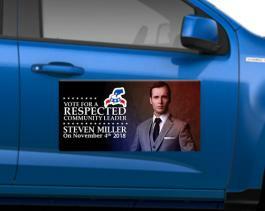 This time they can try out with these custom 24 x 12 election car bumper truck signs round corners- 30 MIL. 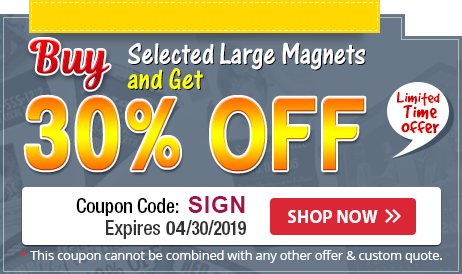 These magnets offer great visibility against any vehicular surface and are developed to withstand weather with ease. These truck signs are offered in attractive price package and campaigners can avail discounts by ordering them in large numbers. 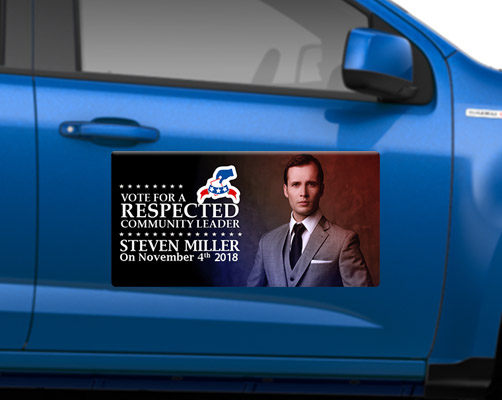 Request a quote to know price benefits that you can avail on bulk ordering these customized 24x12 election car bumper truck signs round corners – 30 MIL.